Here are a few of my top picks for 2015 out of the review copies the Times Colonist received this year. All have been lab-tested on my seven- and nine-year-old, are suitable for ages five and up, and combine good storytelling and clear writing with imaginative illustrations, and usually a little humour. 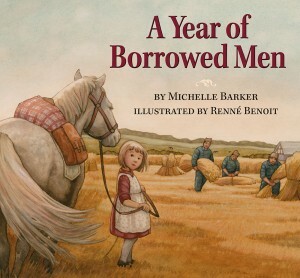 One of my favourites is A Year of Borrowed Men, by B.C. author Michelle Barker, about a German family’s complex relationship with French prisoners of war brought in to work on their farm in the Second World War. Based on a true story and illustrated by Renné Benoit (Pajama Press), A Year of Borrowed Men is told from the point of view of a young girl who likes the men and struggles to understand why they are not supposed to be “Freundes” or friends. If you like books that inspire lots of questions from your kids, this is a good one. Some of them might be hard to answer, though. 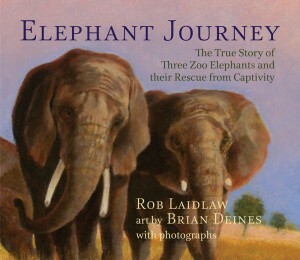 “A book that combines the true story of transporting three elephants from the Toronto Zoo to a new home in California in 2013, and factual information about elephants. The details about this removal from the zoo to a Performing Animal Welfare Society (PAWS) sanctuary in Calavaras County, California are precise. Details of the death of one of the elephants from degenerative foot and joint problems eighteen months after the move are included to illustrate the potential problems of housing animals in zoos. The limited size of enclosures and artificial surfaces employed cause defects that may occur when the animal can[not] roam and keep their bodies fit. 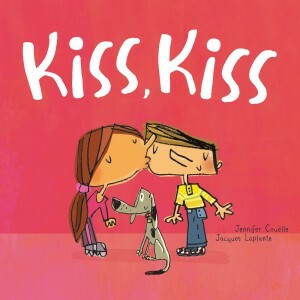 “This very sweet and simple tale describes many types of kisses in a language very young children will understand and appreciate—e.g. ‘You can do it once, or twice. 100 times is very nice.’ Each type of kiss illustrates the different varieties of relationships to parents, grandparents, pets etc., found in a small child’s life. Also noteworthy is that Timo, in his reflection on his garden, lists and describes many different types of plants and flowers. This detail could lead to informative discussions with children about different types of flora. Additionally, Timo’s friends are all familiar creatures (a hedgehog, a squirrel, a frog, for example), and each is personified with different personality traits and interests. “In this beautifully illustrated beginning chapter book, Victoria Allenby has introduced a lovely menagerie of animal friends, a timeless theme of the trials of friendships, and a whimsical and heartfelt text. When Timo hears about the upcoming Toadstool Corners’ Great, Green Garden Tour, he is both excited to enter the fun contest, and concerned about the timeline. 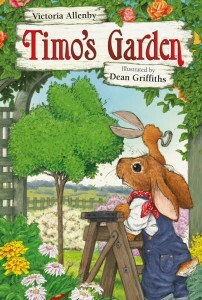 He has but one week to turn his garden from merely nice to great. Timo commits so wholeheartedly to the project that he begins to neglect his many friends, even missing his weekly tennis game with his pal Suki. In spite of this, however, when disaster strikes Timo’s nearly finished garden, his friends all pitch in to help save the day. Timo learns a valuable lesson, without the inclusion of tired moralizing, and makes sure to show all of his friends how wonderful he thinks they are. The format of the book does an excellent job of holding interest. It incorporates lists on illustrated notebook pages, colourful half-page drawings on most pages—often across spreads—and an illustrated glossary of flowers at the end. The text is simple enough for beginning readers for the most part, but does incorporate just the right amount of more challenging words to hone sounding-out skills. 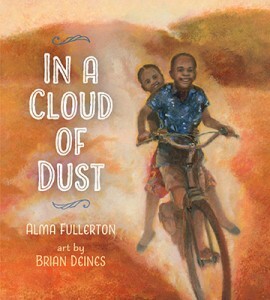 In addition, the use of some consistent rhyming text, alliteration, and onomatopoeia, adds whimsy and a lyrical tone to the story, a rarity among chapter books.